NORTH AUGUSTA, S.C. (Jan. 6, 2006) - The River Golf Club is one of those admirable golf courses risen - literally - from the rubbish heap. It sits on the site of an abandoned railroad yard and former illegal dump, a 5-iron over the Savannah River from Augusta, Ga. The River Club was built on the site of an abandoned railroad yard and former dump. You can get a glimpse of the way the old eyesore used to irritate the well-to-do of Augusta; architect Jim Fazio, Tom's older brother, left traces of the old rail yard, with some lingering railroad ties. No sign of garbage or trash, though; the little course is a picturesque gem in what could be considered an urban area, with the lights of downtown Augusta and the riverwalk shining on it in the early mornings or late winter afternoons. Despite the proximity of the mighty Savannah River , which drains a basin that includes three states, the only water that comes into play are the lakes, ponds and impenetrable marsh that lie inland. No river here at the river club - it's there for scenic value only. Still, the water comes into play frequently; the largest lake runs through the center of the layout and provides plenty of obstacle, thank you very much. In fact, there is water on 12 of the holes, though most of it is lateral, with no carries. There are also a number of bunkers and waste areas, resulting in a tight, little course that rewards the accurate and tortures the wild and wooly. "I know that when I play somewhere else, I shoot three to four strokes better," said mid-handicapper John Long. "There's always a hazard to deal with, and you have to hit it where you aim it. But, I like the course, it's just hard." The slope rating and owner and Head Professional Chris Verdery disagree, both saying it's not that difficult. The slope is 129 from the back tees, which puts it in the moderate range. It's 6,847 yards from the back tees. "Everything is right in front of you," Verdery said. "I would say it's a shot-makers' course, and you have to use all the clubs in your bag. 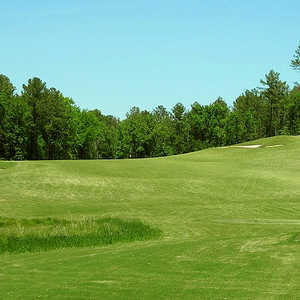 Fazio did a good job - all the terrain is basically the same, but the holes are all different without being tricked up." If the terrain is the same, it's different from much of the surrounding land, which tends to be hilly in this part of the border land between South Carolina and Georgia. "It's a different course for this area," Verdery said. "It's a coastal layout, flat and a lot of water." For a course that isn't overly long, the closing hole can be a killer. 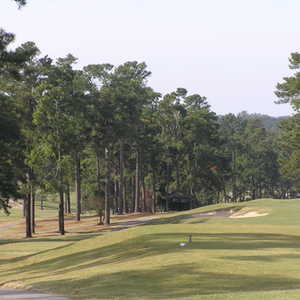 It's a 601-yard par 5 with the lake lurking behind the trees on the right and a fairway bunker and out of bounds left. The marsh dips in to the right in front of the green. As you approach, the lake is still in play to the right, and a waste area pops up. It's difficult to reach in two with all this staring you in the face. No. 2 is also unnerving, a 563-yard par 5 with railroad tracks left, behind a fence. A ditch runs across the fairway and a waste area and thick marsh right. You're hitting into a small, undulating green that drops off right to marsh. The River has some nice, bentgrass greens, one of a handful of courses in the Augusta areas that features them. The price is right, too. 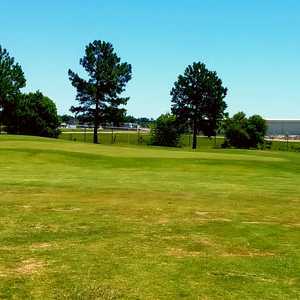 Green fees are $42 weekdays, $40 Fridays and $55 weekends. Winter rates are about $5 cheaper. The River was named one of the top five new affordable golf courses in America in 1999 by Golf Digest. It has also served as the site of a U.S. Open qualifier and the Hooters Golf Tour came through here between 1999 and 2001. The Radisson Riverfront Hotel is in downtown Augusta, with South Carolina just to the east across the Savannah River. The city's riverwalk meanders right by the hotel and the crowds show up here the first Friday of every month, a social event known here as - what else - First Fridays. The hotel is within walking distance of shops, restaurants, museums and marinas. It has 237 rooms, including two whirlpool suites, a business center, high-speed Internet access in the rooms, for about $10, and 45,000 square feet of meeting space in 22 rooms. It's a good, central location for playing Augusta's golf courses. Augustino's at the Radisson has a pasta bar every Friday evening and with Sunday brunches. It's an Italian restaurant serving a variety of steaks and chops, with prawns and other entrees like salmone alla aglio e burro - pan-seared Atlantic salmon - beef tournedos, veal scallopine, and chicken picatta. The River Golf Club has catering services and two meeting/banquet rooms.